The Green Prince play lives! 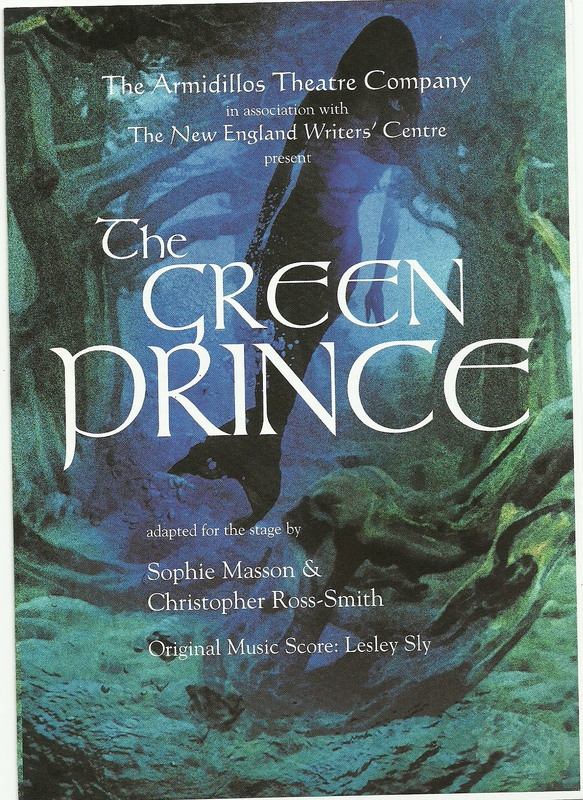 Some nice news this week from the Australian Script Centre, which is a wonderful digital repository and shopfront for plays from all over Australia: The Green Prince, the play I co-wrote in 2001 with Christopher Ross-Smith, based on my fantasy novel of the same name, made a few sales in 2014, enough to earn some small but unexpected royalties! It was so much fun and yet such a challenge to write that play, and it was such a wonderful experience to see it in production back then! I’m so pleased that it continues to have a life. Producers and directors whether professional or amateur are most welcome to go over to the Australian Script Centre and take a look at the play! Would work well as a film too. 🙂 Just sayin’. 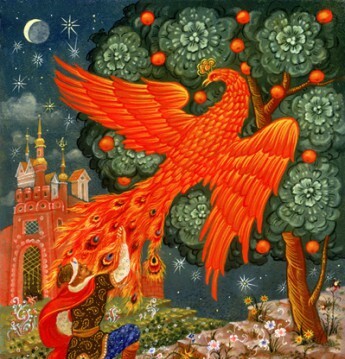 Jack Fisher, an orphan growing up in a small riverside village, is feared and hated because of his webbed limbs and his talent for singing fish out of the water. When he is beaten and left for dead on the riverbank, he is rescued by a strange, puckish creature, Shellycoat, and the merman Vagan. They tell Jack that he has been chosen as the Champion of the Green Kingdom, destined to fight Grimlow, Lord of the Abyss. And thus begins Jack’s enchanted, terrifying, action-packed journey into the lands under the water. 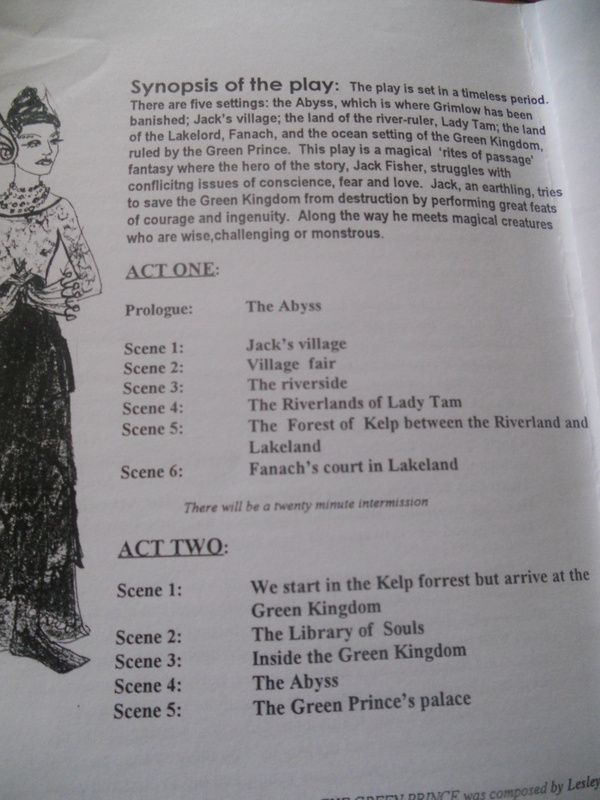 And if you’re interested in checking out the tribute page on Facebook to the original production of the Green Prince, back in 2001, take a look here.